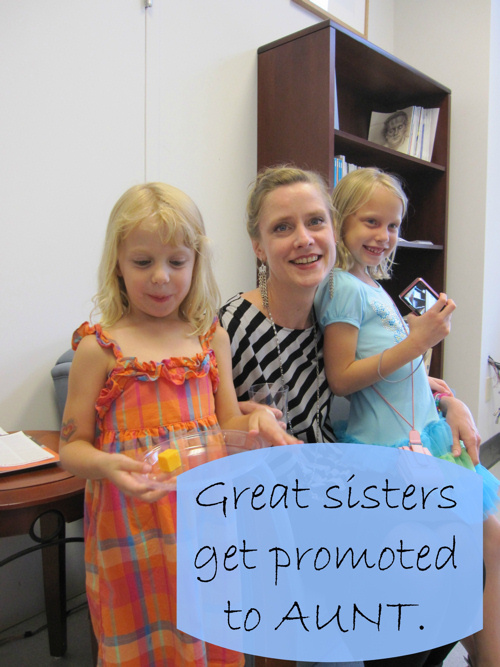 Lily and Emmy are blessed to also have wonderful aunts who are just like moms to them! Thank you to my sisters for being such great aunts. I love you both! The kids are very lucky to have wonderful aunts that are so supportive and cool like your sisters. I’m happy for you guys! Relationship and great moments should always be treasured. Life is sometimes gives you ups and downs. Good thing you have sisters to help you on the way. It's great when kids have special family bonds! My recent post Happy Mother's Day! 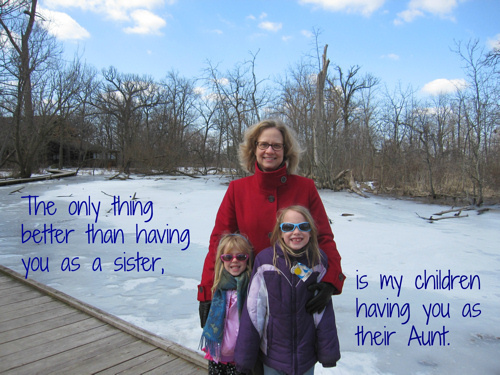 Aunts are great – my sister is a wonderful aunt to my boys! There should be an Aunt's Day! I have two sisters and one of my brothers is married so the kids have three aunts. My husband has two unmarried brothers and I have an unmarried brother so there is the potential for both. There is nothing like this relationship! They love on my kids so much, and vice versa. My recent post Rainbows For Mother's Day. My recent post We’re An American Band…or ARE We? Thanks for remembering aunts on this Mother's Day! I am blessed to be an aunt to thirteen wonderful nieces and nephews.